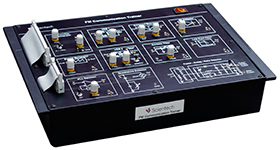 Scientech TechBook 2110 PAM-PPM-PWM are the basic Pulse Modulation Techniques. 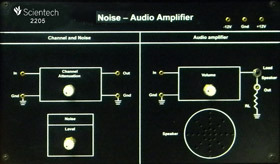 TechBook 2110 provides complete set up to the students for performing experiments on these techniques. 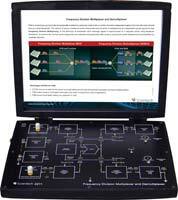 They can study Sampling, Pulse Modulation, Demodulation & Signal reconstruction process. Separate circuits are provided for each technique. 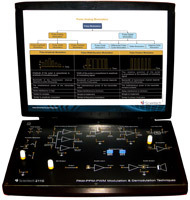 The learning material provides exhaustive technology details and experimental assistance. 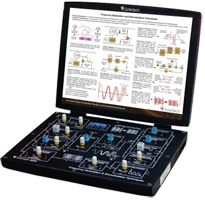 Scientech 2110, PAM-PPM-PWM Modulation-Demodulation Techniques is an ideal teaching aid to enhance education, training, skills & development amongs our young minds.